Camperships are financial scholarships that enable churches to send children and youth to one of the Baltimore-Washington Conference summer camp programs. Any church (UMC or other) may apply for Camperships. 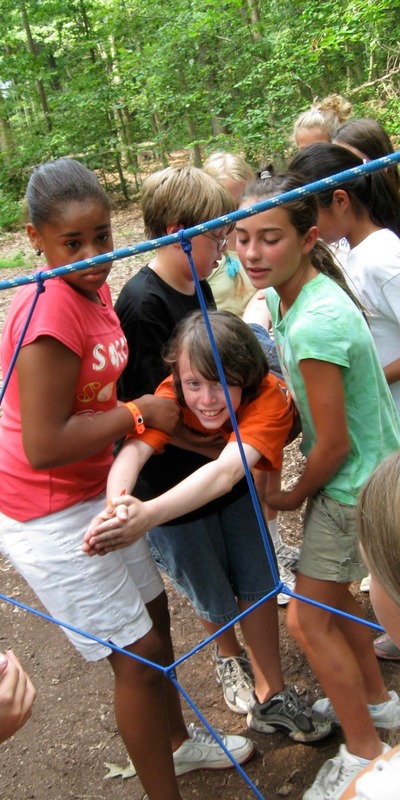 Summer camp ministry is an extension of the ministry of the local church. Campers may have a wonderful experience at one week of summer camp, but to reap all the benefits of that experience, they need nurturing and guidance in their Christian growth that their local church can provide all year long. For this reason, we do not allow individual families to apply on their own. Please get involved in your local church and ask your pastor or Camping Advocate to complete an application on your behalf. Camperships are awarded on a first-come, first-served basis. Applications are accepted beginning March 1, 2017. These are open to any/all campers and will generally pay only part of the cost of camp. These are for campers who are eligible for School Lunch Assistance; these will generally pay only part of the cost of camp. This application is open to campers whose families are in the greatest financial need and are receiving School Lunch Assistance. These camperships are between half or up to the full cost of camp. Complete an application with all required information. It is very important that we receive both the application and registration forms together to know which program the camper would like to attend. We encourage all applicants to list their top three camp program choices. Is there a limited number of Camperships per church? A Church may not receive more than 10 Camperships (General and Hardship combined). Campership funds may be divided among as many campers as the Pastor or Camping Advocate determines. A Church may not receive more than five Endowment Camperships. Is there a limited amount of Campership per camper? How do I know if a child is receiving School Lunch Assistance? The Campership Committee recognizes that there are often circumstances that can place financial hardship on a family. We do not want any children to miss the opportunity to attend summer camp because of financial need. If you are aware of any extenuating circumstances in this child’s life that affirms their need for assistance, please briefly explain in the application. It is to the benefit of the applicant that some information is shared. All information shared in the application process is confidential. How/when will notifications of awards go out? You will receive an email informing you of the number of Camperships you are awarded. Attached to that email will be the Campership Claim Table and a deadline. You will then need to be sure all campers register for summer camp AND you complete the Campership Claim Table and return (by mail, fax or email) before the stated deadline. Camping Staff will then credit each camper’s account after receiving the completed form. You also need to communicate with parents the campership amount their child receives. Please note that if the Campership Claim Table is not returned by the deadline, the Camperships will be forfeited. If the local church is further subsidizing the camper’s cost, those funds must be received by the Retreat and Camping Office one month prior to the start of the camper’s week at camp. Please be sure to include campers’ names, amounts for each camper, and the camp program and date they will attend. Campers who receive the Endowment Campership will be registered for one of their choices of programs. Confirmation will be sent via email or regular mail to the camper. An email/letter confirming the award also will be sent to the local church and contact person listed on the application. What if our church wants to register a group of campers, how should we do this? If you are registering a group of campers, please call our offices to find out availability of programs. We suggest you have names, gender and grade levels of all campers when you call. If each camper is receiving financial assistance from the church and possibly Conference camperships as well, we suggest that you MAIL in the registration forms with deposits paid by parent/guardians. If a camper registers for camp online, is the church contact person notified? If a camper registers online, it is the responsibility of the parent/camper to notify the church contact person. The summer camp registration office will not send notification of registration to the church. If I have a camper that cancels can I substitute another in his/her place? Due to the many variables involved when a camper cancels, substitutions may or may not be possible. You may request a substitution by contacting the Summer Camp Office; all requests should be in writing or email. Substitutions must be for the same gender and grade level program as the original camper. Camperships can be transferred to the substitute if all paperwork has been completed and the substitute meets the same criteria for Camperships as the original camper. All substitutions are at the discretion of the Summer Camp Registration Office. If we have applied for a Conference Scholarship, and are still waiting to hear back, how do we calculate the balance due section on the application? When you turn in your application you must pay the $100 deposit for camp. Camperships will not cover the registration deposit (except for Endowment Camperships). The registration office will be notified if you receive a campership directly from the Campership Committee and the camper’s account will be credited. The Camping Office will notify the contact person for your church, and it is their responsibility to notify each camper’s family the scholarship amount they have been awarded. It will be the church or parent’s responsibility to make the adjustment in the final balance due based on any scholarship monies awarded. After registering, campers/parents will receive weekly balance notification emails. These notifications will not be sent to the churches, however. What other funding sources are available? Churches are encouraged to hold fundraising events such as dinners, talent shows, dessert/bake sales, car washes or other ideas that would involve the campers in fundraising. RCM encourages all churches to sign up for the Clean Closets for Campers Campaign. Churches can also take special offerings or ask special groups in your local church such as United Methodist Men or United Methodist Women.